Forgiveness is at the core of the healing process, whether it's forgiveness of others or forgiveness of oneself. With the passing of the year and the start of the new one, it's a perfect time to heal old wounds and open the door to happiness. Every single time I volunteer at the prison bringing the principles of spiritual psychology, when I counsel people, or when I coach my clients, forgiveness is the core of the healing process. It doesn’t matter if the issue is small or big, it doesn’t matter if the person I coach is an inmate or a top executive. Forgiveness opens the doors to happiness for us all. When we as individuals or communities relate to each other from an open wound, we keep creating more pain in our lives, and peace is just an illusion. Why is it so difficult for us as human beings to let go of anger, hurt, and fear so that we can embrace forgiveness, happiness, and freedom? When we experience emotional pain, we are left with a wound that needs to be healed. If the wound remains open without healing, we relate to everything in the world from that wound. When we walk out into the world relating from our wounds, we answer life’s experience with resentment and distortion rather than understanding. 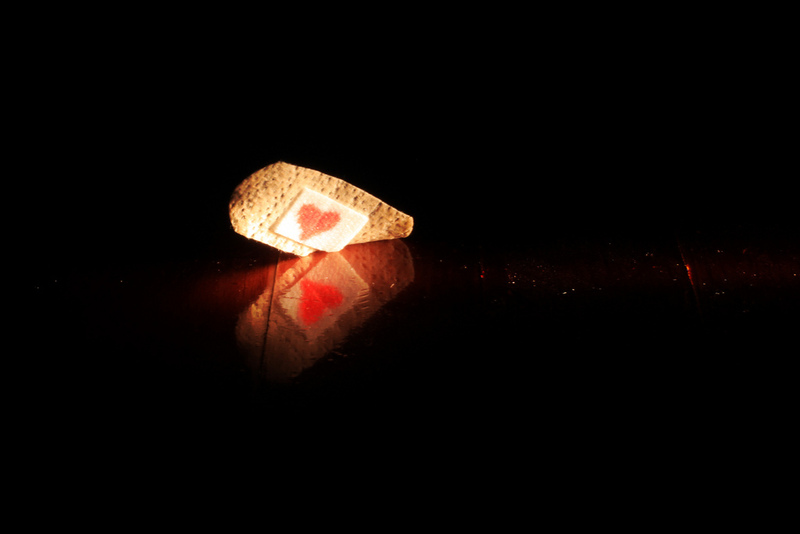 We try to cover up the pain, masking it, and applying bandages to the wound. But it’s like putting a bandage on a nail in your foot. Until you remove the nail, the pain will continue and become infected. Have you ever poured salt on an open wound? Ouch! That is the feeling we have when we relate from the hurt. The pain escalates. We sometimes don’t even know why we end up in an argument or react with anger. The child inside of us who experienced the pain is still hurting, and when something happens to trigger that pain, we react in a way that may be out of proportion to the actual event. We’ve all experienced this; it’s very human. And it even gets us into trouble sometimes and causes relationships to end forever. The solution is working through that pain, and forgiveness must be at the center of that work. In order to relate from the heart, we need to transform the open wound into a healed scar. The wound cannot be healed, though, until we let go of the illusion that the past could have been different. It has already happened and cannot be changed. We must accept our own humanness and the humanness of others. We all sometimes “miss the mark” and fail to live up to our expectations. In some cases, a human being has been so deeply damaged that he or she commits acts that are beyond our comprehension. Forgiveness has helped me understand that whatever someone else does “to” me, it isn’t about me. It is about their own inner pain, lack of awareness and self-love, inability to forgive, etc. I also realized that when I’ve made mistakes, it wasn’t about anyone else. It was about my own unresolved issues. When the inmates, and clients of all walks of life I work with get in touch with their own forgiving place inside of them, breakdowns turn into breakthroughs and amazing changes in their lives happen. Clara Naum, M.A. Executive Coach with David Couper Consulting, Radio Host and Author. Find out more about Clara and her workshops on Forgiveness and Healing.